What do you get when the you cross a dyslexic, and agnostic, and an insomniac? … Someone who stays up all night wondering if there is a dog. 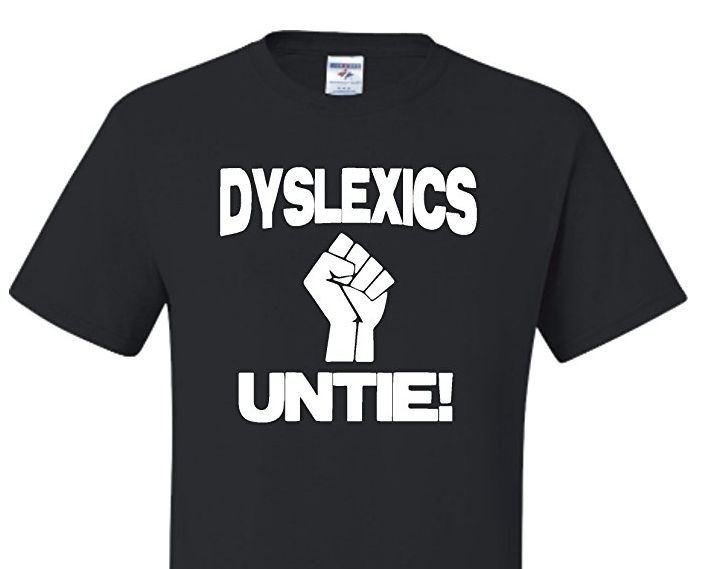 The National Association of Dyslexics, also known as A.N.D. The satanic dyslexic who sold his soul to Santa. How many dyslexics does it take to screw in a light bulb? … 103: 1 to hold the bulb and 102 to read the directions. A dyslexic entered a spelling bee. She came in SALT. If you want to make a conservative mad, tell them a lie. If you want to make a liberal mad, tell them the truth. This support thread from LinkedIn proves that LinkedIn is monitoring and restricting views of your postings based on their own “Approved” political beliefs, and it explicitly says so in the support thread. This support thread from LinkedIn proves that LinkedIn is monitoring and restricting views of your postings based on their own “Approved” political beliefs, and it explicitly says so in LinkedIn’s own support thread. It starts with me submitting a support request to LinkedIn asking why one of the comments on a posting I created was removed. Some back and forth and submitting additional evidence of censorship. Here the LinkedIn support person admits that LinkedIn removed the comment and for a very disturbing reason … LinkedIn does not allow discussions about certain “political beliefs", as of yet, unidentified. Then suddenly, for no apparent reason, the number of views on this posting went from almost zero, to almost 20 in a couple of hours. And this was weeks after it was originally posted, so the interest in the topic of the article had waned by that time. The above graph tells me that after I caught them in the act of censoring my posts, LinkedIn subsequently changed some “view limiter” setting that allowed this post to receive more views. However I doubt they removed the limitation completely, given the censorship mentality revealed. In this reply from Linkedin, they are not even attempting to pretend they do not have a censorship list based on political views. They say the list exists and is internal and private!!! They also say there was a “miscommunication” about the comment being deleted by LinkedIn. Since we already know that LinkedIn deleted the comment, I interpret this to mean that the support person was not supposed to tell me they deleted it. The only logical conclusion here is that LinkedIn is censoring your posting based on political beliefs, and restricting the number of views your postings receive based on their “approved” political beliefs. Are we, the LinkedIn users, on some sort of super-secret double probation that only LinkedIn knows about? Again the LinkedIn support person closed the case. Again I immediately reopened the case, and recognizing a dead end, I asked that my issue be escalated to the next support level. And it begins again … sigh. The new LinkedIn support person attempts to disavow any knowledge of censorship at LinkedIn, and it is a person from the same group identified previously as the group who initiated the censorship! I tell the new support person that censorship is not the issue anymore, it has been proven and acknowledged by LinkedIn. The issue is making the list of disallowed political views public so that LinkedIn customers know whether or not to express an opinion on these topics. Another response from LinkedIn, another denial, kinda, sorta … This time they admit to censorship “through automated tools", then deny the automated tools locate or remove content based on political views. OK, then on what basis are the automated tools removing content? Please provide that list of rules, that is all I am asking for! Just when I think that LinkedIn support can’t get any more despicable, they prove me wrong! They just got even more despicable, they closed the support ticket without response and without notification in the hope that I wouldn’t notice and it would just go away. I NOTICED! I reopen the case and ask it to be immediately escalated to LinkedIn Management. fact they attempted to close the case without response or notification. tools. Again they close the case without resolution. Are we to believe that in an FBI investigation that has taken over a year to conduct, the FBI agents and the director were able to analyze the results of the interview, assimilate this new information into the year of investigations, create recommendations against prosecution, and generate an announcement, all in the time between end of the Hillary Clinton interview on Saturday afternoon, July 2, 2016 and 11:00 AM Tuesday morning, July 5, 2016!? The tarmac meeting between Bill Clinton and Loretta Lynch. Unprecedented. It is unknown what was discussed between the two, but it was probably much more than grandchildren. Question: When did Bill Clinton become aware the FBI would not be recommending prosecution? Did he discuss this with Lynch? 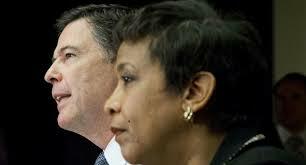 Loretta does an about-face and declares that she will now “accept” the FBI recommendation, whatever it may be. The initial perception is this was the result of public and media outrage related to her meeting with Bill Clinton. It now appears to be that she had prior knowledge of James Comey’s upcoming announcement on Tuesday, July 5, 2016. Question: When did she become aware the FBI would not be recommending prosecution? These FBI agents work furiously to assemble, analyze, summarize and report the results of this interview over the July 4th weekend. They work Sunday July 3, and Monday July 4 to get this information to James Comey before Tuesday Morning. These FBI agents go home for the holiday weekend and get ready to analyze the Hillary Clinton’s responses beginning on Tuesday Morning, July 5, 2016. I suspect the agents went home for the holiday weekend with the intent to start fresh on Tuesday, and James Comey never received the results. There was no need for him to receive the results of the interview, his recommendations were already determined and set in stone. Probably a week or two before the announcement. Question: Each agent involved in the interview should be asked if they worked all weekend thru July 4, or if they went home. Question: If they worked all weekend, then ask each agent when the results of the interview was sent to James Comey. Date and Time. Question: Did they have a deadline for sending the results of the interview to James Comey? Date and Time. FBI Directory James Comey Recommends no criminal charges over Clinton email server or handling of classified information. Question: When did James Comey receive the results of the Clinton Interview? Question: When did James Comey write his remarks? Question: When did James Comey schedule this announcement. Question: Did James Comey formulate his recommendation before the Clinton Interview on July 2, 2016? Question: If James Comey formulated his recommendation after the Hillary Clinton Interview on July 2, 2016, what was the date and time he began and finished? Question: Was any information from the Hillary Clinton interview on Saturday, July 2, 2016 relevant to the formulation of James Comey’s recommendation? Question: Was the Hillary Clinton interview on Saturday, July2, 2016 a staged event to make it appear as though the FBI was assessing the evidence? Question: Did Loretta Lynch have prior knowledge of James Comey making his announcement on July 5, 2016? Did she know the content of the announcement? Question: Did Bill or Hillary Clinton have prior knowledge of James Comey making his announcement on July 5, 2016? Did they know the content of the announcement? Question: Did James Comey not attend the interview because he had already formulated his recommendation? Question: James Comey said nobody new what he was about to say when he made his announcement on Tuesday morning, is that true? There is a problem with this time-line, and everyone involved is lying!